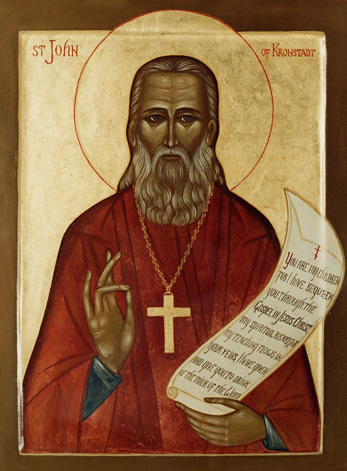 St. Simeon the New Theologian: What is the aim of the incarnate dispensation of God’s Word . . . 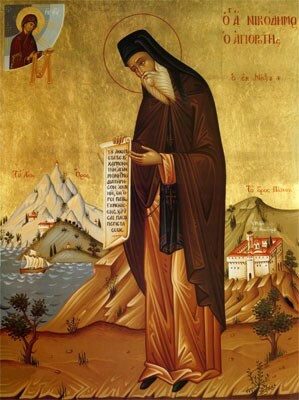 This entry was posted in Sayings from Saints, Elders, and Fathers, St. Symeon the New Theologian and tagged Grace of God, Holy Scriptures, Holy Spirit, Incarnation, Kingdom of Heaven, Theosis on June 8, 2014 by . St. Nicodemos: Having read Holy Scripture very carefully, you should also read the holy Fathers . . . This entry was posted in Sayings from Saints, Elders, and Fathers, St. Nicodemus of the Holy Mountain and tagged Allegory, Holy Fathers, Holy Scriptures, Illumining the Mind, King David, Old Testament People, Psalms, Reading the Scriptures, Spiritual Knowledge, Spiritual Reading on May 28, 2014 by ocqadmin. St. John Chrysostom: If a man should come here with earnestness . . .
“If a man should come here with earnestness – even though he does not read the Scriptures at home – and if he pays attention to what is said here, within the space of even one year he will be able to obtain a considerable acquaintance with them. For we do not read these Scriptures today, and tomorrow others that are quite different, but always the same section and consecutively. However, in spite of this, many have such an apathetic attitude that after such reading they do not even know the names of the books. And they are not ashamed, nor do they shudder with dread, because they have come so carelessly to the hearing of the word of God. This entry was posted in Sayings from Saints, Elders, and Fathers, St. John Chrysostom and tagged Church Behavior, Holy Scriptures, Material World, Reading the Scriptures, Spiritual Reading on January 1, 2014 by . St. Basil the Great: Of the beliefs and practices whether generally accepted or publicly enjoined which are preserved in the Church . . . both of these in relation to true religion have the same force. . . .
Of the beliefs and practices whether generally accepted or publicly enjoined which are preserved in the Church some we possess derived from written teaching others we have received delivered to us “in a mystery” by the tradition of the apostles; and both of these in relation to true religion have the same force. And these no one will gainsay;—no one, at all events, who is even moderately versed in the institutions of the Church. For were we to attempt to reject such customs as have no written authority, on the ground that the importance they possess is small, we should unintentionally injure the Gospel in its very vitals; or, rather, should make our public definition a mere phrase and nothing more. For instance, to take the first and most general example, who is thence who has taught us in writing to sign with the sign of the cross those who have trusted in the name of our Lord Jesus Christ? What writing has taught us to turn to the East at the prayer? Which of the saints has left us in writing the words of the invocation at the displaying of the bread of the Eucharist and the cup of blessing? For we are not, as is well known, content with what the apostle or the Gospel has recorded, but both in preface and conclusion we add other words as being of great importance to the validity of the ministry, and these we derive from unwritten teaching. Moreover we bless the water of baptism and the oil of the chrism, and besides this the catechumen who is being baptized. On what written authority do we do this? Is not our authority silent and mystical tradition? Nay, by what written word is the anointing of oil itself taught? And whence comes the custom of baptizing thrice? And as to the other customs of baptism from what Scripture do we derive the renunciation of Satan and his angels? Does not this come from that unpublished and secret teaching which our fathers guarded in a silence out of the reach of curious meddling and inquisitive investigation? Well had they learnt the lesson that the awful dignity of the mysteries is best preserved by silence. What the uninitiated are not even allowed to look at was hardly likely to be publicly paraded about in written documents. This entry was posted in Sayings from Saints, Elders, and Fathers, St. Basil the Great and tagged Anointing Oil, Apostles, Apostolic Teaching, Baptism, Chrism, Chrismation, Customs, Defending Orthodoxy, Eucharist, Holy Scriptures, Holy Tradition, Orthodox Faith, Prayer, Secret, Sign of Cross, Silence, The Church on December 16, 2013 by . St. Basil the Great: . . . a psalm is the work of angels, a heavenly institution, the spiritual incense. This entry was posted in Needs Source, Sayings from Saints, Elders, and Fathers, St. Basil the Great and tagged Angels, Anger, Anxiety, Calm, Conquering Evil, Demons, Feasts of the Church, Friendship, Guardian Angel, Holy Scriptures, Incense, Prayer, Psalms, Soul, Spiritual Reading, Spiritual Warfare, The Church on December 6, 2013 by ocqadmin. 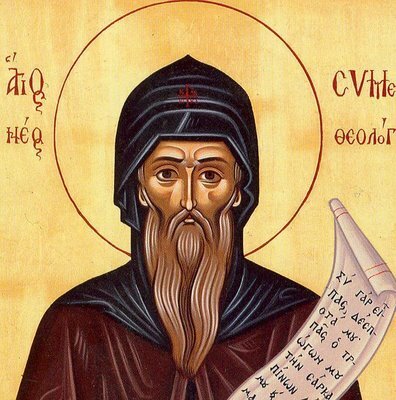 St. Porphyrios: The soul is sanctified and purified through the study of the Fathers, . . .
“Our religion is perfectly and profoundly conceived. What is simple is also what is most precious. Accordingly, in your spiritual life engage in your daily contest simply, easily, and without force. The soul is sanctified and purified through the study of the Fathers, through the memorization of the psalms and of portions of Scripture, through the signing of hymns and through the repetition of the Jesus Prayer. This entry was posted in Sayings from Saints, Elders, and Fathers, St. Porphyrios and tagged Defending Orthodoxy, Holy Fathers, Holy Scriptures, Hymns of the Church, Jesus Prayer, Prayer, Psalms, Spiritual Reading on December 2, 2013 by .